On May 18th, Three Girls Produce presented a $200 donation to the CMS Playground Project. The small business, operated by the Hastings family, sells fresh produce and jellies at the Chadron Farmer's Market. CMS would like thank Larissa, Mikaela, and Moriah (all former CMS students) for their generous donation. The Chadron State Women's Choir and the Chadron State Community Chorus hosted a benefit concert on April 26th to support the Chadron Middle School Instrumental Music Program. Thanks to the the incredible generosity of our amazing community, $579 was raised to help purchase instruments for students. Several instruments were also donated to the program. Chadron Middle School would like to thank the CSC women's and community choirs for hosting the benefit and thank all of the community members to donated to our program. 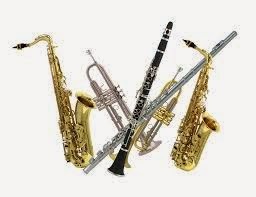 Anyone interested in donating instruments to our program can drop them off at the Chadron Middle School office, located at 551 East 6th Street, Chadron, NE 69337. This year marked the 150th anniversary of the end of the Civil War. On Thursday, April 30th, the Chadron Middle School Choir celebrated with a musical tribute to the men and women who fought and died in that war. Usually, the 7th and 8th grade choir perform separately from the 6th graders, but last night all three grades performed together. The performance included severn songs and a recitation of the Gettysburg Address. Nice job middle schoolers!